We’ve come a long way since we released our very first issue last year. Lots of toy and figure photographers across the globe participated in this community driven project and the feedback has been amazing. In just a couple of months, we were able to show the world that there is a thing called toy and figure photography. We were also able to get our works published on Apple iBooks and Kobo Books! And lastly, since a lot of you guys requested for it, Phygure® physical copies are going to be available really soon! 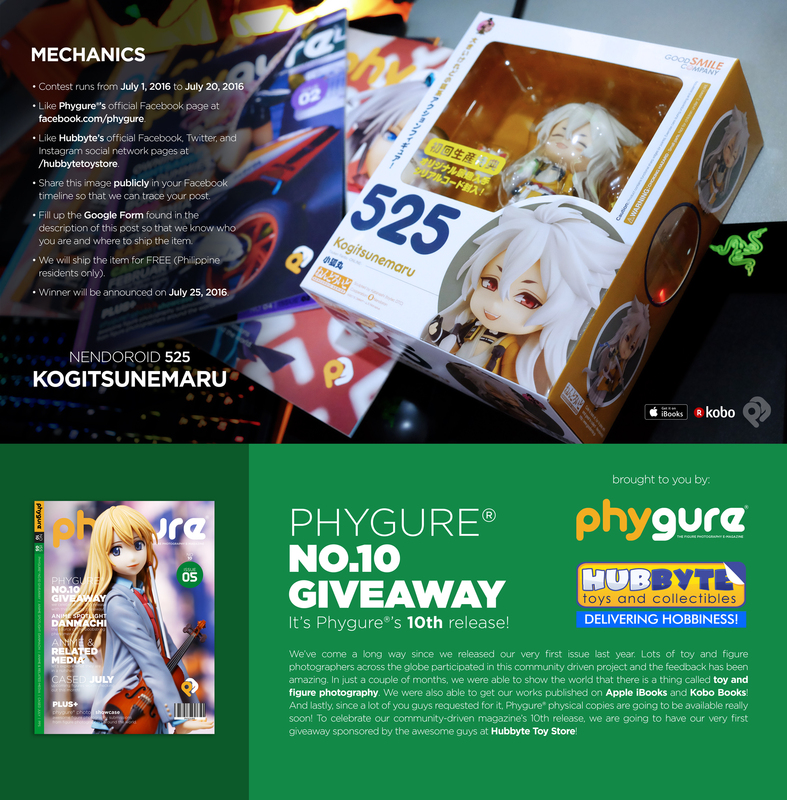 To celebrate our community-driven magazine’s 10th release, we are going to have our very first giveaway sponsored by the awesome guys at Hubbyte Toy Store! Like Phygure®’s official Facebook page at facebook.com/phygure. Like Hubbyte’s official Facebook, Twitter, and Instagram social networks pages at /hubbytetoystore. Share this image publicly in your Facebook timeline so that we can trace your post. Fill up this Google Form so that we know who you are and where to ship the item. We will ship the item for FREE (Philippine residents only). Winner will be announced on July 25, 2016.